Announcing JD Dyola’s WIL–T™ Spinoffs! 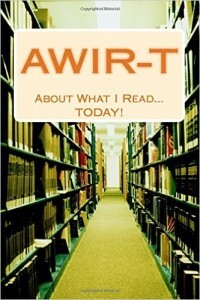 Announcing JD Dyola’s AWIR–T™ Spinoffs! 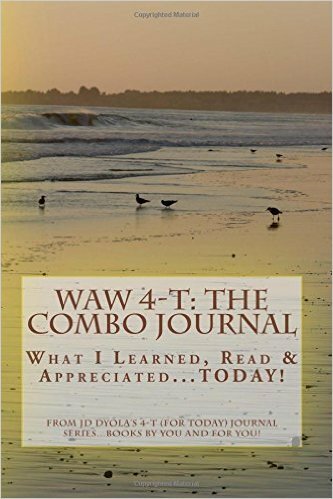 WAW 4-T: The Combo Journal―What I Learned, Read & Appreciated…TODAY! 4-H™ (por HOY)—A Spanish Journal Series: The 4-T™ Series in Español! Announcing JD Dyola’s Celebration of COLOR Collection™! 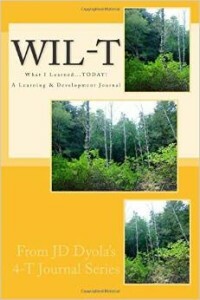 Previews & Updates―Preview JD Dyola’s Journals on Amazon.com! 4-T™ “for TODAY”: The Series That Started It All! Let me tell you a bit about how the 4-T™ series got started. 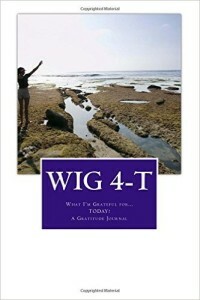 About a year or so ago , in addition to my general journal, I began to use a separate notebook for what I had learned during the day, another for notes about material that I had read that day, and a third one as a daily gratitude journal. 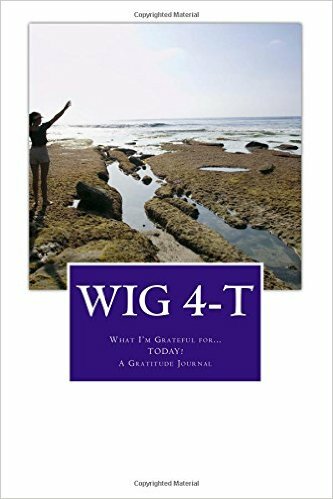 At the beginning of my journal entry I would write “What I Learned Today,” or “About What I Read Today,” or “What I’m Grateful for Today.” In a short time, I was writing only the acronym for each journal heading (WILT, AWIRT, and WIG4T). The 4-T™ journals were conceived! Then at the beginning of 2015, I started researching what’s involved in becoming indie author (self-published, independent author). I received helpful advice from successful indie authors, and soon the 4-T™ Journal Series was born! 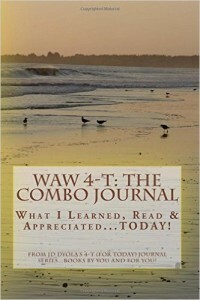 Then, after a few weeks of carrying around 3-4 journals every day, along with other books, I developed WAW 4-T: The Combo Journal. I figured that if I found journals like this valuable then others might also. And I believe that I had the right idea because you’re here reading this! I hope that you’ll love the 4-T™ journals as much as I do and enjoy using them. 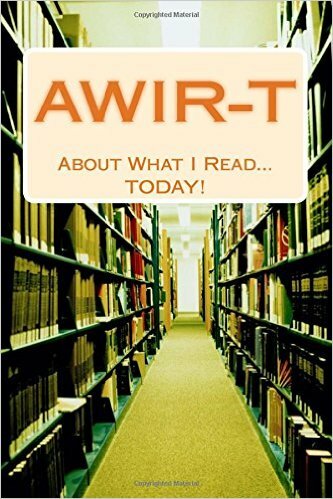 Click here for one journal user’s review of AWIR-T™! Stay tuned for other 4–T™ series journals with more cover choices! *These are the original 4–T™ series covers, when it debuted in 2015. See the Previews page for the current journal covers and use the “Look inside” feature on Amazon.com to read the revised Introductions. Last update April 7, 2018. © 2015 – 2018, JD Dyola. All rights reserved. | Thank you for your interest in JD Dyola Journals ❤™! | Note: This site is promotional only. To preview or buy a JD Dyola book, go to the PREVIEWS tab, above, and click on that book’s image or visit: https://www.amazon.com/author/JDDyola. Have an amazing day! Click on the Home tab for JD's blog. This entry was posted in General and tagged series. Bookmark the permalink. 4-H™ (por HOY)—A Spanish Journal Series: Announcing JD Dyola’s 4-T™ Series in Español! WAW 4-T: What I Learned, Read & Appreciated…TODAY! Announcing My Journal, My Journey, My Color: JD Dyola’s Celebration of COLOR Collection™! Previews & Updates―Preview JD Dyola Journals ❤™ on Amazon.com! Specials on JD Dyola Journals ❤™…TODAY!